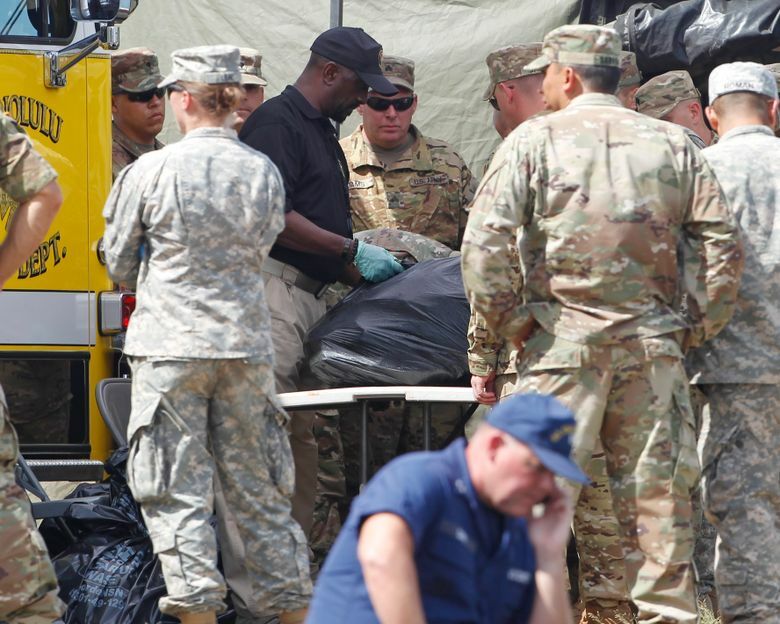 HONOLULU (AP) — Army officials have spent days sifting through chunks of Black Hawk helicopter debris in turbulent Pacific waters off Hawaii but have yet to see any signs of life in their search for five soldiers missing since the aircraft crashed during nighttime training on Tuesday. 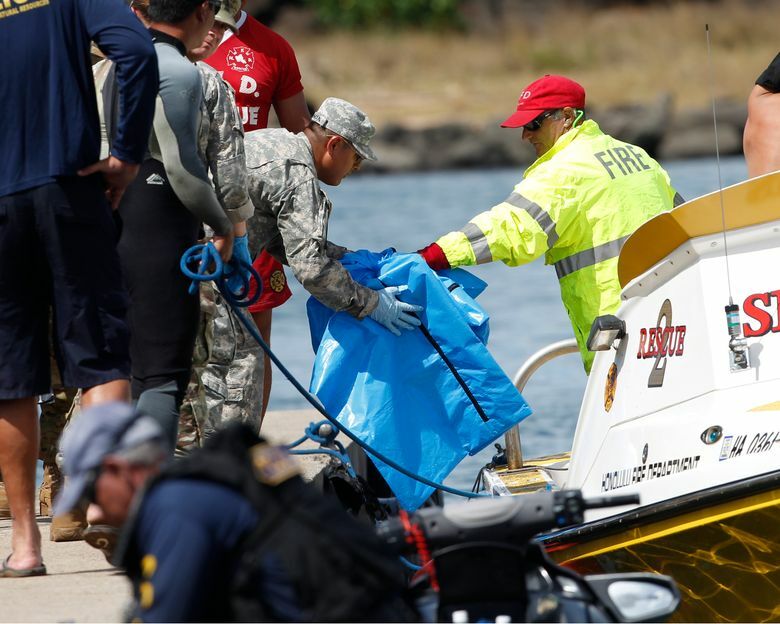 The U.S. Coast Guard said Friday it is searching up to 50 miles (80 kilometers) off the remote point where the Black Hawk helicopter crashed west of Oahu. Firefighters found and collected what appeared to be pieces of helicopter fuselage and a helmet earlier in the week. The Coast Guard said responders continue to find debris, but didn’t have specifics on what kind. The Navy brought remotely operated underwater vehicles and sonar to help. 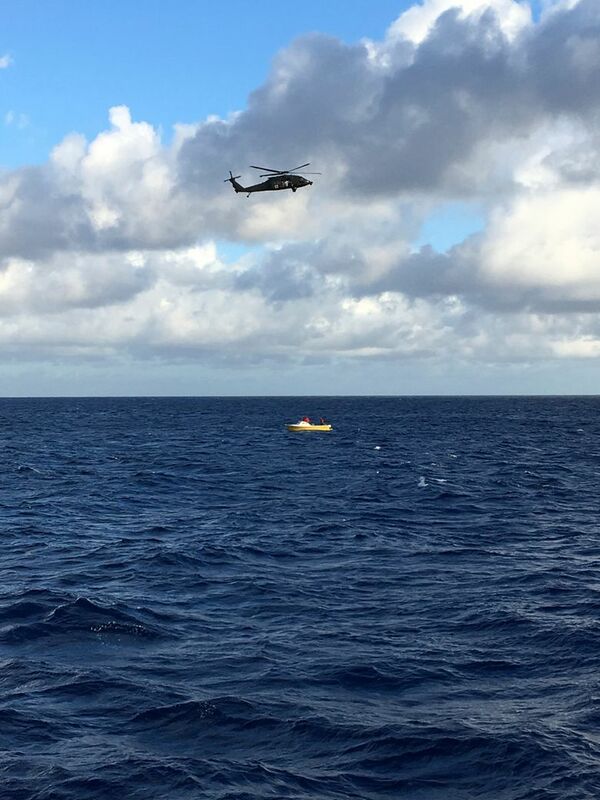 On Friday, they searched waters about 1 mile (1.6 kilometers) off the coast, said Lt. Col. Curits Kellogg, a spokesman for the Army’s 25th Infantry Division. 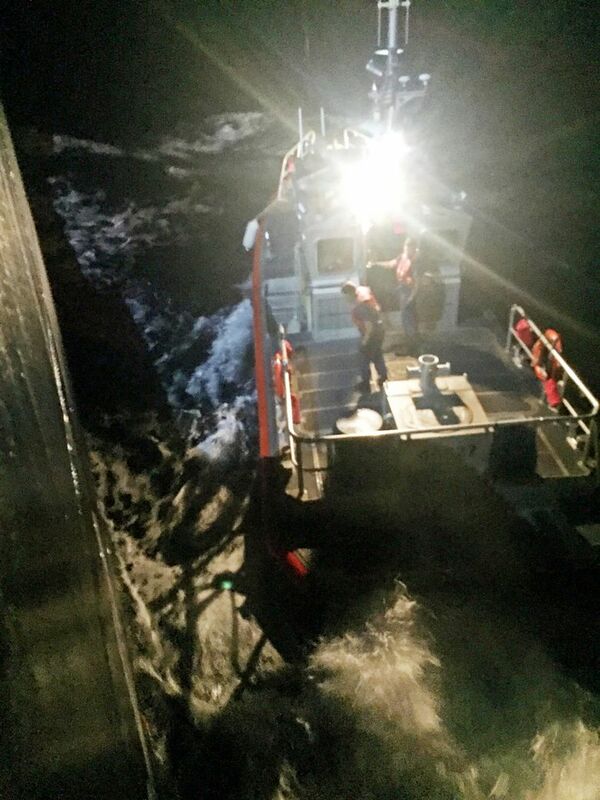 Shifting waters and swift currents spread debris from 2 miles (3 kilometers) off shore on Tuesday night to an expanded search area of at least 50 miles (80 kilometers) on Thursday. The ocean floor drops quickly off Oahu and varies throughout the search area. It is over 1,000 feet (300 meters) deep at the center of a safety zone established by the Coast Guard for the search. The safety zone extends from a 5-mile (8-kilometer) radius around the last known location of the helicopter. 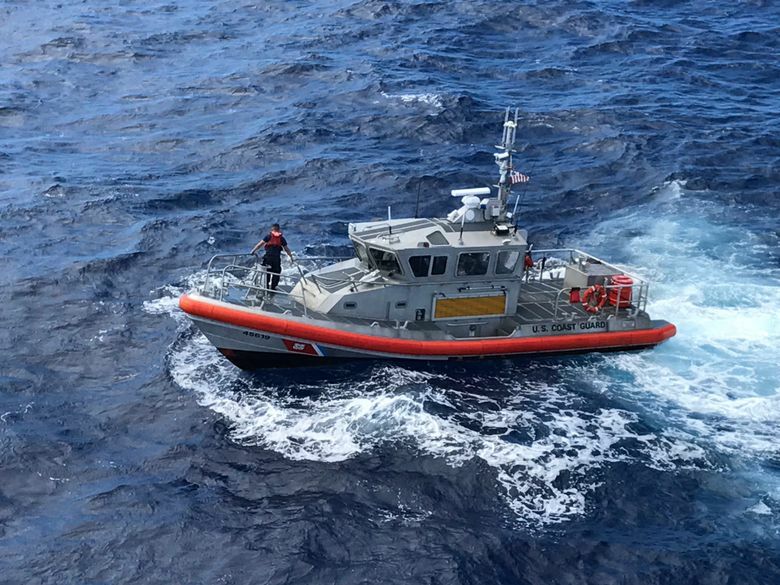 The Coast Guard set it up because it’s likely to have a higher concentration of debris and be where most of the search aircraft and vessels are operating. It’s not allowing civilians to enter the area. A Coast Guard HC-130 plane helping with the search was using radar that’s designed to search the surface of the ocean, said spokeswoman Chief Petty Officer Sara Muir. An MH-65 helicopter was using infrared technology, she said. Asked whether sharks would be a concern, Muir said there were marine predators in the area. “That is expected and perfectly normal for this region,” she said. Master Sgt. Peter Mayes, a spokesman for the 25th Infantry Division, said all five crew members had life vests and an air bottle for underwater breathing. There was no life raft on board the helicopter, however. That’s because operating procedure only calls for rafts when non-crew member soldiers or people without life vests are on board. 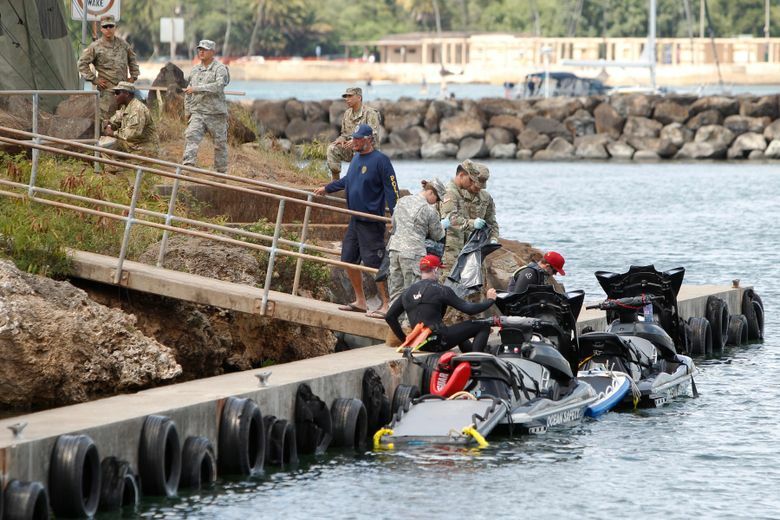 All Black Hawk crews undergo underwater crash and survival training before they come to Hawaii, Mayes said. Soldiers simulate being on board a helicopter that’s crashed into the water and learn how to free themselves. Mario Vittone, a retired Coast Guardsman and expert on sea survival, said how long people survive in the water depends on their age, weight and health in addition to water and air temperatures. Searches in colder climates where water drops below 60 degrees (15 degrees Celsius) may get called off after a day. In Hawaii, they often last longer. Last year, a search for 12 Marines who went missing after two helicopters collided off Hawaii lasted five days. Remains of nine Marines were found. Three were never recovered. The recovery of debris indicates the Black Hawk hit the water uncontrolled, Vittone said. This would mean there’s a low probability anyone survived but he said the rescuers can’t and don’t assume that.